Have you ever thought about what can be linked with a hook to surprise and relatives, and acquaintances? What do you think about Swan lake? 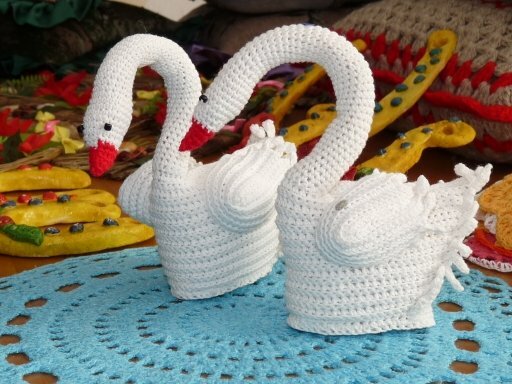 If you got a little technique of crochet, you can try to associate a Swan or a few swans. 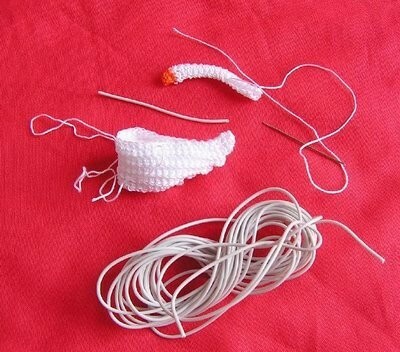 Thread crochet "iris" or "Lily", the hook No. 2, scissors, cotton wool, a small piece of wire to bend the neck of the Swan. Knitting start with the wings of a Swan. The two wings are crocheted using the same pattern. Dial 18 loops. Next, one loop lifting and the first row knit columns without nakida. The second and the third row is knit, not tavaziva 2 columns. And so on every two rows harvested at two columns without nakida. The result should be 9 rows. Tie two such wing. Then knit the body of the Swan. Type 42 air loop. Provarite the first row of columns without nakida. Then knit one air loop lifting, while the second row is not to rework 2 column without nakida. Then leave nebazhannya 2 column every 2 rows, so the result is 10 rows. Then promazyvaya 3 air loop lifting, plus two loops (total of 5). Missing one column without nakida previous row and second column promazyvaya column with nakida. Then do 2 air loop and a column with nakida. Repeat this pattern to end of row. To bind the neck, type 17 loops plus one loop for lifting. Four rows of knit columns without nakida. Secure the thread and to the side, attach the orange thread. 1st row knit like this: 4 column without nakida. 2nd row- 2 column without nakida, skipping one column of the previous row. 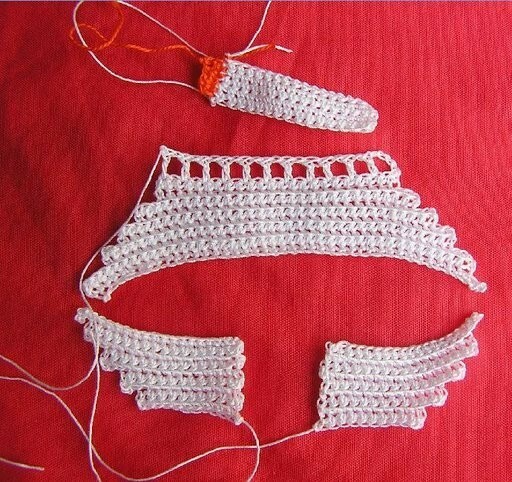 The side edge stitch crochet the seam and insert a wire the size of a Swan's neck. All items are ready. It remains only to collect the Swan. 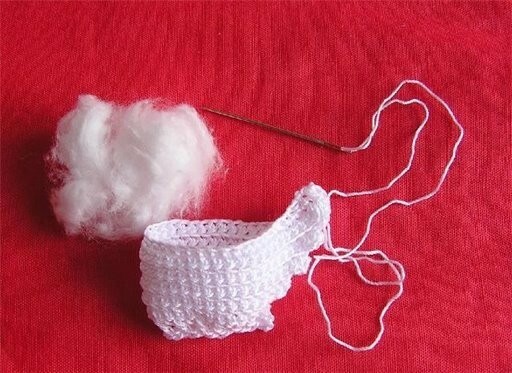 To do this, fold the body of the Swan in half and stitch as well as the neck of a hidden seam. Pre-fill the body with cotton wool. Carefully sew the wings to the sides of the Swan. To keep your neck held straight and not rolled over on its side, the end of the wire (the skeleton of the neck) to stick into the piece of foam. And the foam put it in the body of a Swan. Then gently and firmly Suite of the neck to the torso. now your Swan is ready. You may encounter such that your Swan, in spite of all your efforts will still fall. In this case, you will have to change a little. Cutting the base the same size as your small circle associated columns without nakida. That Swan was more stable, make it the bottom is flat. The color of the beak can be not only orange, but also black, or another color according to the desire of the author of the Swan.